There’s a knack to discovering the real soul of a city. You’ll find it away from the tourist-clogged main attractions – those places with lines around the block and carefully cultivated photo opportunities. The weird and wonderful parts of town are a true reflection of the people who live there. Next time you’re in Chicago, visit these five attractions and tap into the creative juice of a place that loves music, art and pushing the boundaries. In 1900, L Frank Baum penned The Wonderful Wizard of Oz while living in Chicago. He’s honoured like a native at Oz Park, a whimsical hangout in the Mid-North District. 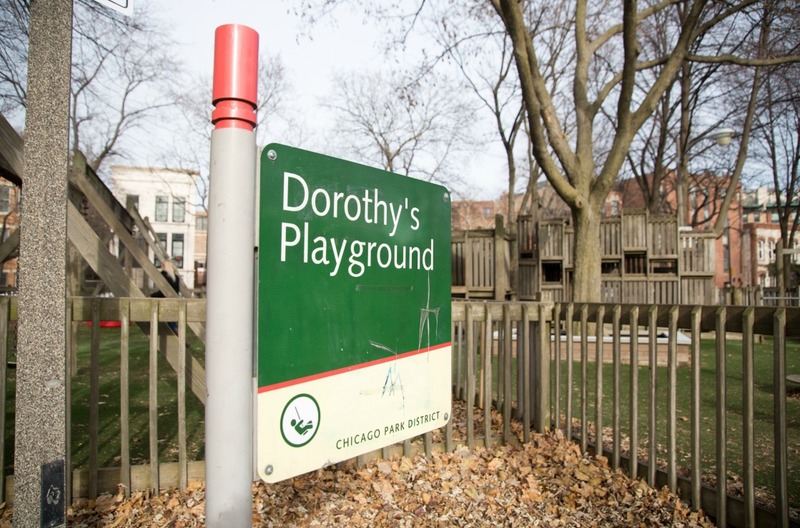 With playgrounds, picnic areas, routes for jogging and baseball facilities, this is an all-American destination. What makes it special, however, are the Oz-themed statues which bring the classic story to life. These monuments were commissioned between 1995 and 2007, starting with the loveable Tin Man. Chicago gets a thrill from public art. Head downtown and you’ll see Banksy masterpieces and anonymous murals that brighten the brickwork of the city. Nowhere is the city’s love of art more apparent than Cloud Gate, fondly known by locals as ‘the bean’. Designed by Anish Kapoor, this gleaming archway sits like a UO in Millennium Park, reflecting the skyline of the city and providing entertainment for passers-by. The city has some superb museums showcasing paintings, sculpture and art but, as we’re off the beaten track, why not unearth something quirkier? Housed in a beautiful mansion close to the shore of Lake Michigan, the International Museum of Surgical Science is a fascinating insight into medicine and surgery, celebrating the incredible advances which have been made over the centuries. From the Hall of Immortals to the Japan Hall of Fame, this is an unexpected hit with many visitors to the area. 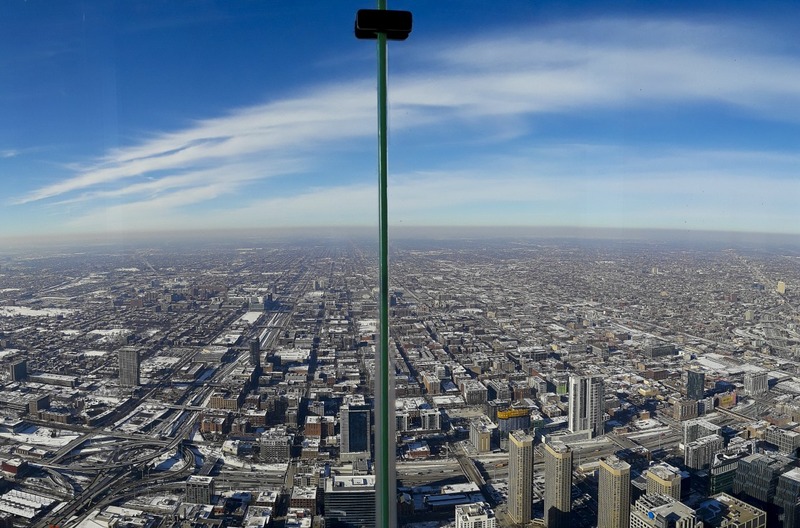 To see the city in a different way, head up to The Skydeck inside the Willis Tower. Formerly known as Sears Tower, this sleek structure was the tallest building in the world for 25 years. Perched up on the 103rd floor, this won’t be your cup of tea if you’re scared of heights. You might even feel the building sway when one of Chicago’s famous winds blows. If you’re feeling daring, step on to The Ledge – a glass observation box which juts out over the city. With only the glass floor beneath your feet, you can see all the way down to the bustling streets and avenues 412 metres below (London’s Shard is a mere 310 metres). Stretching along the coast of the city, Jackson Park is famous for its sweeping views over the waters of Lake Michigan. However, the tranquillity of the Osaka Japanese Garden is the must-visit spot here. Make your way to the Wooded Island and relax in the tranquil setting of this Eastern-inspired garden. Wooden bridges arch over the lagoons, lush green plants spill out over the flowerbeds and waterfalls tumble gently over the rockery. Come springtime, the cherry trees blossom in the Garden of the Phoenix, creating a soft pink canopy which fills the air with a delicate scent. There’s even more weird and wonderful to be discovered in the Windy City. You could visit the historic Bahá'í House of Worship on the outskirts of town or say hello to Sue the Tyrannosaurus rex at the Field Museum of Natural History – the largest and most complete specimen ever found. 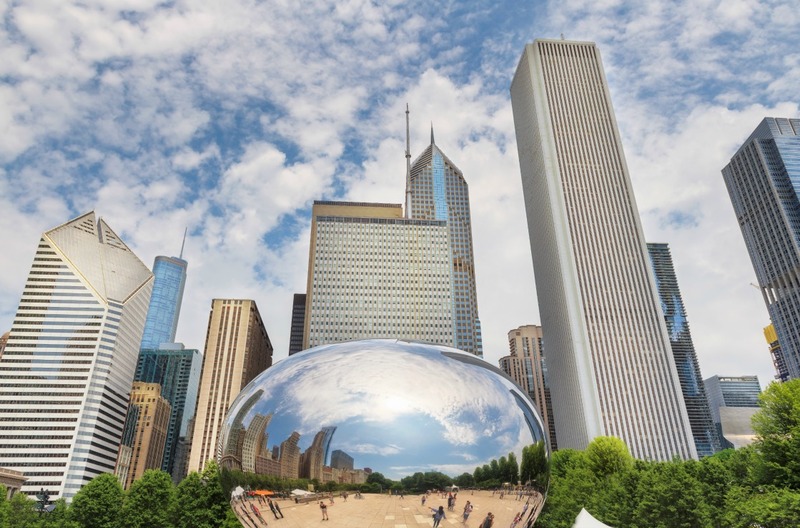 With car hire in Chicago you can visit all these places and more, enjoying all the unique quirks of America’s third largest city.